In Hello Dolly Jerry Herman can lay claim to having created one of the most successful Broadway musicals of all time. It ran for over 2800 performance and won a staggering 10 Tony Awards. Two decades later he enjoyed another huge hit in La Cage aux Folles, which has won a major Tony in each of its Broadway runs. In the decade between these two huge hits Herman wrote three less successful musicals (which include the cult classic Mack and Mabel) of which one was ‘The Grand Tour’. 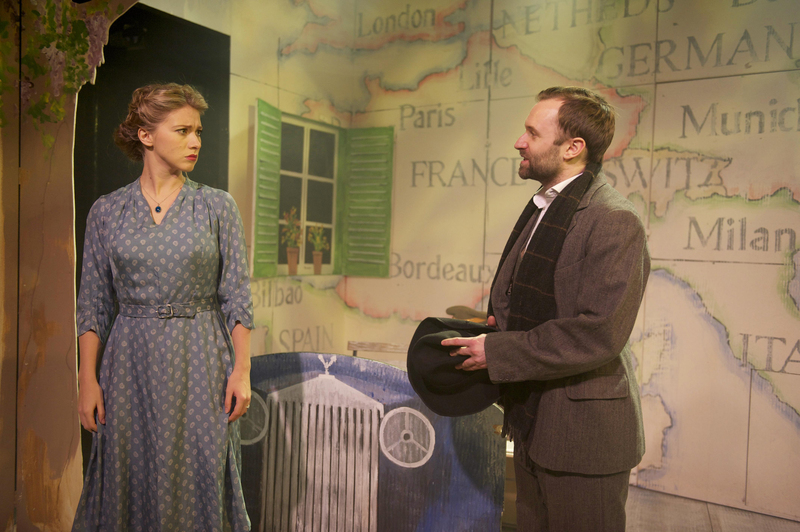 It has never having previously been performed in Europe and there was, despite the Finborough’s mighty reputation, a question mark in my mind over the reason why this might be so. Well it certainly isn’t a dud. If this is not the strongest musical to hit the London stage then one only need cast a jaded eye over the offerings from ‘Theatreland’ to see that it is a long, long way from being the weakest. However for all the spirited energy of the cast and another piece of spritely direction from Thom Southerland – who currently appears to be operating a cartel in the relatively niche field of small-scale musical direction – there are enough problems with Michael Stewart’s and Mark Bramble’s Book to suggest the work is destined to remain a curio piece for the dedicated rather than be reassessed as a missed masterpiece. 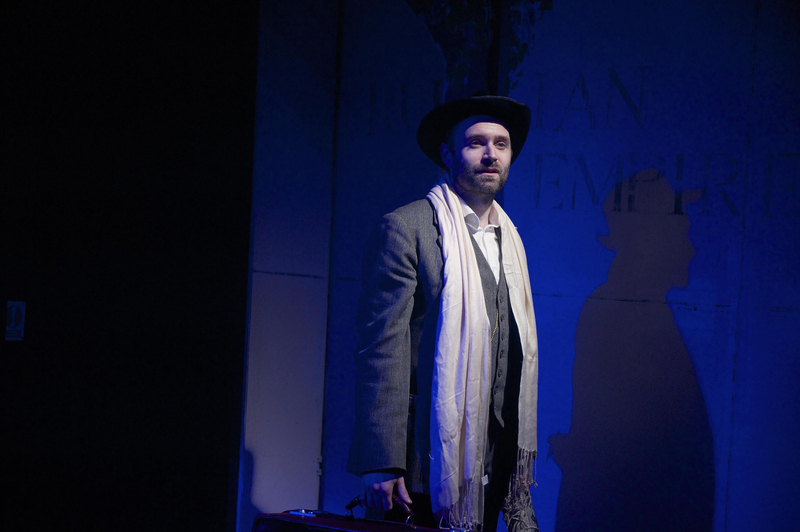 The main problem is that, despite being based on a pre-existing play, the production feels more akin to fragmentary scenes forced into a thematic connection by the overarching story of Jacobowsky and the Colonel. As a result, after a strong opening, we have ‘a scene on a train’, ‘a scene at the circus’ and then, most jarringly, ‘a scene at Jewish wedding’. All of these are performed extremely well and are very enjoyable to watch, but it is hard to be convinced as to why it is all occurring. The relationship between the three leads is rather too closely reminiscent to the dynamics between Rick, Ilsa and Laszlo in Casablanca. However the creators are too fond of Jacoboswky to allow for the depiction of humanity’s shades of grey that makes Casablanca such a masterpiece. In the end Jacoboswky is both the humane, philosophical Jewish refugee and the hero who will lay down his life for his friends. In opposition to this Colonel Stjerbinsky really is a clunking idiot – at least Victor Laszlo got the wonderful moment of being able to sing La Marseillaise to remind the audience why Ilsa would have fallen for him in the first place. Without a similar moment we are left to wonder why on earth Marianne prefers him to our hero, Jacobokwsky, and how Stjerbinsky got even half as far as he did without someone selling him out to the Nazis. Yet despite all of this, it still works remarkably well. There are a number of songs that show us that Herman was still in the middle of his three decade purple patch. I’ll be here tomorrow would stand up well in any musical, and underneath the lightness of touch is a reminder of the quiet pain and necessary stoicism of anyone born into a Jewish family pretty much anywhere in central Europe in the first half of the 20th century. More and More / Less and Less is a cracking number and gives the Colonel and Marianne a chance to shine, whilst One Extraordinary Thing is handled with the vim of Fosse, all Steamed Heat and jazz hands. However it is a number that reinforces the sense that the musical began as a series of loosely connected events; it is a great song, with remarkable complex choreography for the tiny stage, but it’s circus-setting feels totally out of place within the context of the story. What really makes The Grand Tour shine is Alastair Brookshaw’s central performance as Jacobowsky. It is almost unbearably powerful and he taps into the reserves of humanity that must be drawn from if this eternally optimistic wanderer is not going to crumble under the strain. His eyes are windows into a thousand untold stories, and his voice benefits from an effortless lift that ensures his songs take the audience on a journey of his life. As a result, despite some of the rather clunky plot devices and the unconvincingly written finale, as we reach the ending there is a real emotionally potency to what we are watching. Brookshaw is well supported by Nic Kyle who does extremely well to breathe some character into the rather thankless role of the Colonel. Zoe Doano is also impressive as Marianne, possibly the best written of the characters, and works well as a natural pivot between the two men. Thom Southerland’s direction seems a little fussy in Do It For Poland, the first ensemble number, but is more finessed from then on. The train and circus scene are particularly well handled, and show that it is possible to choreograph ensemble routines on even the smallest of stages. After a string of hits, Southerland has become one of those names that, once seen in the programme, allows for a sigh of relaxation, knowing that you are in safe hands. The Grand Tour as a production? 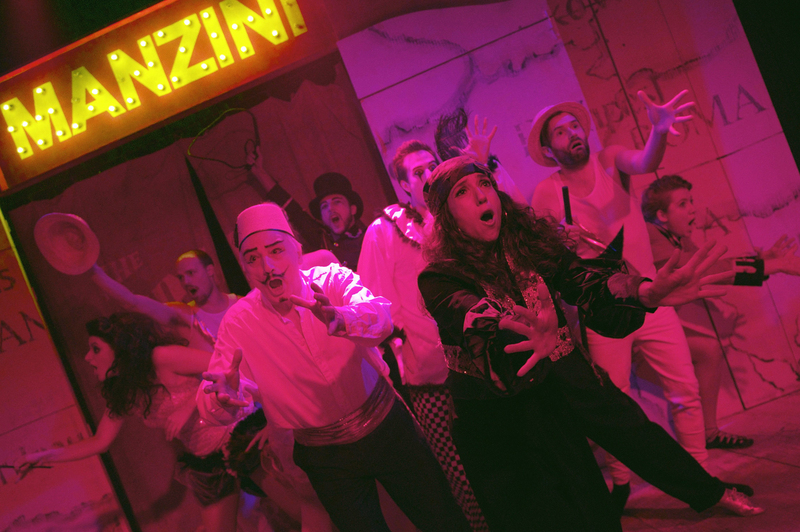 You wouldn’t cross Europe to see it, but if you are a musicals completist or the Finborough is in your neck of the woods then it is worth taking the time to check out something that is probably not going to get staged again for quite some time.